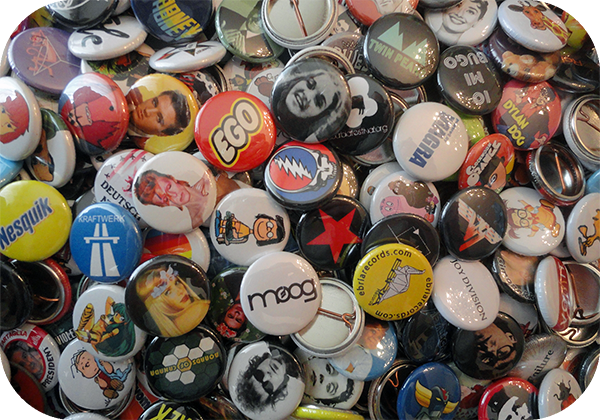 Since about 15 years I offer a custom pins/buttons manufacturing service to bands, labels, individuals, etc. My professional-quality one inch (25 mm) pins/buttons are manufactured one by one with love at very affordable prices. 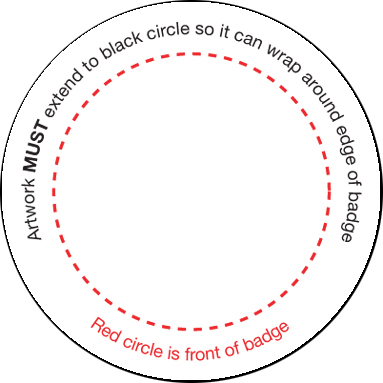 I also offer a design service, just in case you can’t design your pin/button by yourself. Decide on a quantity according to your needs, prepare the artwork using these templates psd / jpg and write to me using the form at the bottom of the page. As soon as I confirm your order you may pay online using PayPal (4% will be added to cover PayPal fees) or make a bank transfer. Turnaround time is about 1-3 weeks. The prices above are valid only for different quantities of one single pin. You’re obviously welcome to order a mixture of differently designed pins (…for example 25 pieces each of four different models for a total of 100…). € 2,00 will be added to your total for each additional design. If you don’t have the time or the resources to design your own pin/button I can take care about it: just send me a detailed description of what’s on your mind and I will create it for you. Price of this service is € 10,00.